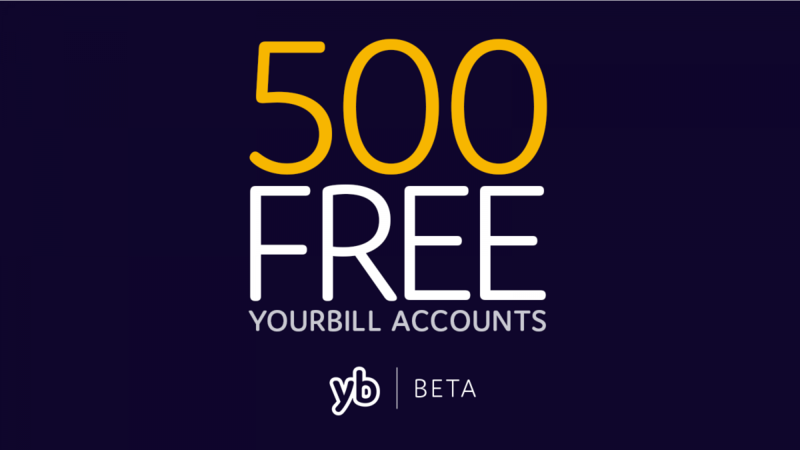 We're offering the first 500 freelancers and small business owners that sign up, a free Yourbill account for 12-months. Here's why you should sign up. Ahead of our launch Early 2018, we want to make 500 freelancers and small business owners a little bit happier. Why? Because we know how frustrating bookkeeping can be, and we want to change that. Yourbill has been founded on a belief that things should be simple, and that includes invoicing, expenses and keeping on top of your accounts. Our focus is to make bookkeeping simple, personal and accessible to all – because running a business can be complicated enough. How are you going to make 500 freelancers and small business owners happy? By giving them a free pass to join our BETA launch early 2018, and giving our first 500 users a free Yourbill account for 12-months. If I sign up, what can I expect to see before your launch? Over the next 10 weeks, as we head towards launch, we’ll be sharing behind the scenes snapshots, industry insights, as well as looking at the future roadmap of what we’ve got planned for Yourbill, and we’d love for you to join us on that journey. By signing up for our BETA launch, not only will you be one of the first to ‘experience more’, but if you’re one of the first 500 people to do so, then you’ll get your Yb account for free, for a whole year! There isn’t one. In case you hadn’t heard, we’re all about experience, and we want our users to have the best one they can whilst using Yourbill. That’s why all we’re asking in return, is that our BETA users give us their honest feedback and that they tell us what they want to see next. Whilst we’ve mapped out how we see Yourbill developing and what future features might be included, we want to build the platform that our users want to use for years to come. So we’ll be open to feedback on ways we can improve from day one. Okay, I’m sold, where do I sign up? You can request your BETA invite using the form at the bottom of this article, or head to our homepage and fill it out there.